A single session of 2.5 hrs. 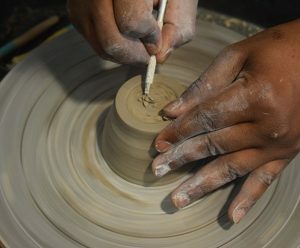 An opportunity to experience our studio, its environment, our teaching style & most importantly, a chance to experience clay! 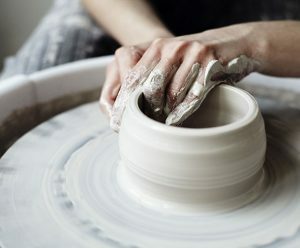 Our Beginner level course that is an introduction to pottery making. 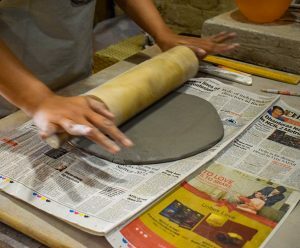 It is roughly divided equally between wheel work and hand-building, and is a terrific way to get started with clay! 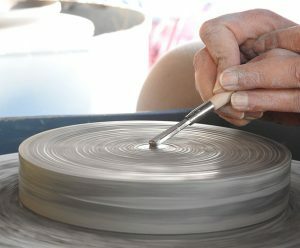 A technique based course focuses entirely on the three main aspects of Hand-building with Clay – pinching, coiling and slab work. 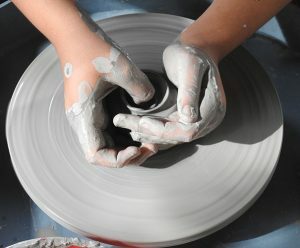 This is an entirely wheel-based ADVANCED course for those who wish to advance their throwing skills. An advanced course where the student determines the content of the course. Only for advanced and experienced students!